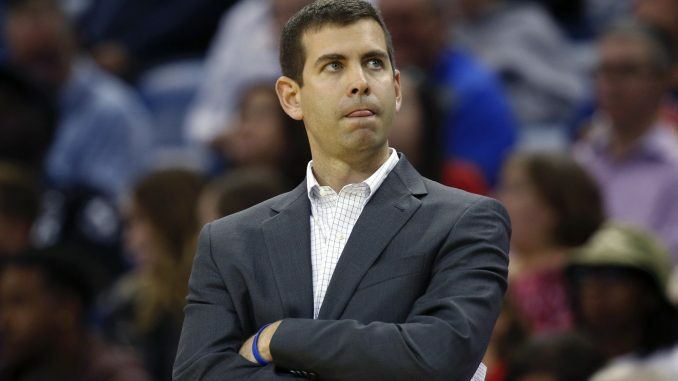 What has caused the Boston Celtics to underachieve this season? 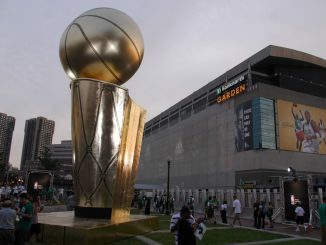 It’s around nine months since Boston Celtics fans were on cloud nine. A Kyrie Irving and Gordon Hayward-less Celtics team took a LeBron James Cavs all the way to a game seven and, to be honest, should have beaten the Cavs and gone on to face the Warriors in the Finals. Even with the loss, the Celtics fans were looking forward to the seasons to come, after young studs like Jayson Tatum, Jaylen Brown and Terry Rozier performed out of their skins in the postseason. Celtics fans had high hopes for this season, some were touting them as the ones to finally slay the Warriors and restore balance to the NBA. That couldn’t be further from the truth as Boston sit 5th in the East and look a shell of their former selves. Now there’s a lot of theories bashing around, whether it be fan forums or mainstream media, about who is to truly blame for Boston’s troubles. Some are pinning it on head coach Brad Stevens, some are pinning it on superstar Irving and some are saying it’s down to the young players not producing what they were. I honestly believe it’s a share of all of those theories. If you give me a few more minutes of your time, I can explain why. The issue Celtics fans seem to have is he doesn’t seem to have the personality of a guy who can handle the big egos of superstars. Just look back at his coaching history, he’s never handled a team who have the big prospects in college, so he has never developed that skill of handling the big egos in the NBA. This would also link into what Marcus Morris stated after the Clippers loss. He stated that the team just feels like a bunch of individuals and it hasn’t been fun for a while. That last line links into what I have to say about Kyrie and the problem he has created. After the incredible run the young guys like Tatum and Brown went on, without the so-called star of the team, the future looked bright. However, Kyrie came back from injury and the young guys have their spotlight taken from them. Before I go on, I must state that Kyrie Irving is an unbelievably good player. He has the best handles in the NBA right now, and since the serious injury, he has come back with authority. However, it’s all been about him and not the other guys on the court. I honestly believe the Celtics would be better off without Kyrie, not for the short term, but definitely for the long term. Rozier, Brown, and Tatum all showed they have star potential and can handle big moments. They deserve more minutes and more shooting chances to develop as players. Rozier is the one I feel really sorry for, he was getting 36 minutes a night in the playoffs and proved he deserved them. This season he is down to around 20 and his confidence couldn’t be any lower. Going by stats, everyone, apart from Kyrie and Morris, are down and down significantly. Morris is currently playing some of the best basketball he has ever played in his career, however, he has even admitted it isn’t fun anymore. What he basically was saying was the fact that it isn’t fun since Kyrie came back. 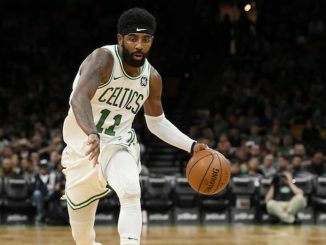 I love Kyrie and everything he has done in Boston, but unfortunately, if we want to look forward to the future, something has to change with Kyrie. Whether that’s his style of play to bring in guys like Tatum and Brown, or Boston move on from him in the summer. I touched on the fact that Stevens can’t handle the big egos that come with being an NBA coach, especially when you have some of the best young players in the league, and a superstar like Irving. Some of the young guys have developed an ego after what happened in the postseason. To be honest, you can’t blame them for having issues with the coaches when they produced some of the best basketball of their short NBA careers and then get their minutes slashed in half because Kyrie is back. However, you can’t always put yourself in front of the team and players like Rozier have to either understand that he won’t get more minutes than Kyrie or accept the role he has and fill it to the best of his ability. Who’s to say if Rozier starts firing on all cylinders, that Brad won’t increase his minutes. The main issue that has always surrounded the Celtics is that they have a seriously stacked roster. Most big teams in the NBA have a brilliant starting 5 and then one or two decent bench players. That’s not the case in Boston as they have multiple guys on the bench who could easily be the starters of a team elsewhere. That creates the issue that players aren’t being properly rewarded with the numbers they are putting up, and that’s showing this year with Boston. There you have it, fix these issues and Boston will go on to beat the Warriors in seven. In all seriousness, the Celtics currently have a few small issues rather than a big one, which is much easier to deal with. 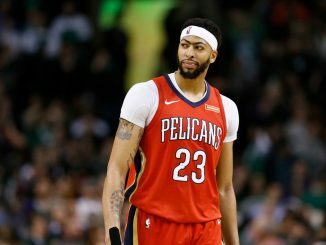 Whether some of the young guys have been put off by the constant Anthony Davis rumours with the team, I don’t know. The only way we will find out is if the team put their heads down and work for each other and the team, rather than themselves. Eagles and Celtics fan. Love to give my opinion and cause quite a heated debate as I'm always right. Host of the 4th and Long NFL Podcast. Kyrie Irving was asked if he has changed his mind about signing with Boston in the summer. He said, “Ask me on July 1”, as reported by Ian Begley.